Recardo and Therian Wimbush locked their oldest son in a lightless basement room for almost two years with only a bucket for a toilet. The boy was 13 when the ordeal ended. His siblings were not included in the allegations. All 10 children were homeschooled; however, the Wimbush’s oldest son had not received any instruction since he was locked in the basement. The Wimbushes claimed that the boy had been imprisoned for running away and molesting his younger siblings; however, the boy reported that he was being punished for lying and stealing a DVD. Although the Wimbushes were highly educated—Recardo had played football for Georgia Tech and later finished his degree; Therian was former military had a degree in mechanical engineering—they were also members of a strict religious movement called the Way of Yah, which forbids members to celebrate holidays. The abuse came to light when an anonymous tip brought social services to the Wimbushes’ home. 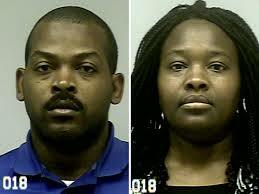 The Wimbushes were charged with child cruelty and false imprisonment.